After a year of ad-hoc application monitoring, Kansas City defined new parameters around its commitment to innovation and civic partnership. Last year, Kansas City, Mo. 's Innovation Partnership Program led to a relationship with software company RF365 that helped streamline the city's RFP process. And on July 12, Mayor Sly James launched the program's second year, which will seek new relationships and technologies from civic entrepreneurs. Having learned a few things from the first go-round, things will be more structured this time around. Last year's program was launched on an ad hoc basis — people applied when they were ready and a committee gathered as needed to judge each applicant. So this year, there is a 30-day application period and a more structured partnership process. Until Aug. 15, the city will accept program applications to develop, test and demonstrate technologies that improve the quality and efficiency of city services. "Efficiency has been one of my Four E agenda items since 2011," James said. "The Innovation Partnership Program is a unique way to explore technology that makes our processes and services better and more efficient. Our reputation as an innovative city is growing, and this partnership between entrepreneurs and City Hall is another way to encourage that innovation." The city is particularly interested in applications around economic development and internal operations. 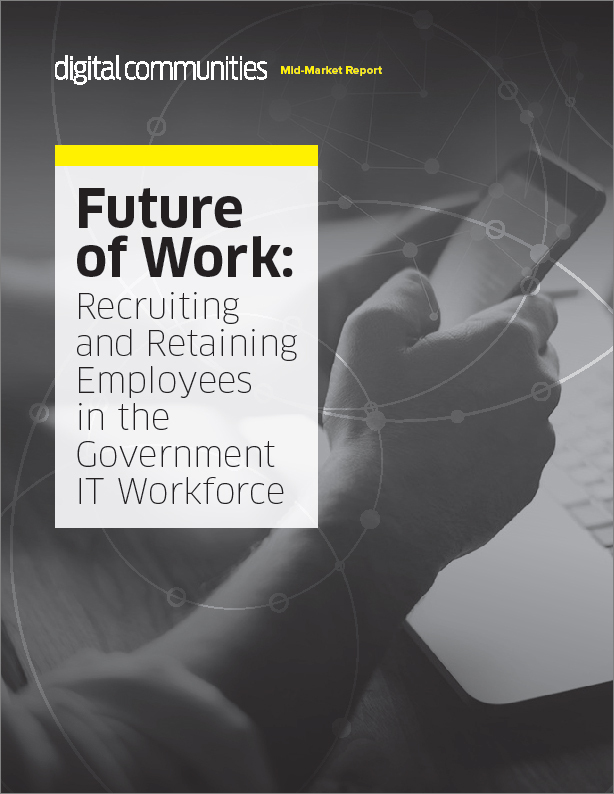 Attracting and retaining talented people in government is a growing challenge for governments everywhere as large numbers of IT workers are expected to retire within the next five years. The focus areas aren't different than last year, said Kate Garman, innovation analyst with the mayor's office, but there's more governance and mentorship this year. Winning applications, the number of which has yet to be disclosed, will be selected for a 12-week testing period within City Hall. During this time, the technologies will be plied against the city's data and infrastructure as the team works with a department deputy director who will help guide the implementation. Mentors from universities and local businesses will supply guidance to the winners, who will also have bi-weekly meetings with Garman and the Office of Innovation. Another new addition to the program is that after 12 weeks, teams will present their projects to the mayor, city manager and the public. "It was because we had a shift in CIO and our chief innovation officer, and I had talked to some people in City Hall and in San Francisco with their [Startup in Residence] program, and ... we heard from our partners that city bandwidth is a problem in how much attention we can give," Garman said, "so we knew we needed a top-down priority. ... The ad-hoc application process was a problem. It was very scattered. Now we know 12 weeks is the commitment and expectation." This type of program provides a unique avenue of entry for civic innovators into government, where they might otherwise have no method of collaboration. "Every city knows procurement processes are burdensome," Garman said. "And [with this program], there are zero dollars exchanged, so it's very much a pilot program [that helps you decide] whether or not you want to go through those bothersome procurement issues. I think what's happening with cities now is the procurement process is: We've identified a problem and we're seeking a solution. But now, technology has gotten so advanced, cities are starting to say, 'We might not even know the problem.' ... And you can't do that with an RFP." Applications will be judged on their perceived ability to "improve the quality and efficiency of city services and operations, [create] new markets and jobs, [attract] and [retain] top talent, and improve economic vitality, social equity and environmental quality," according to the city website.